Windows Defender Advanced Threat Protection (Windows Defender ATP) automatically detects behaviors used by this new ransomware variant without any updates. To test how Windows Defender ATP can help your organization detect, investigate, and respond to advanced attacks, sign up for a free trial. Initial infection appears to involve a software supply-chain threat involving the Ukrainian company M.E.Doc, which develops tax accounting software, MEDoc. Although this vector was speculated at length by news media and security researchers—including Ukraine’s own Cyber Police—there was only circumstantial evidence for this vector. Microsoft now has evidence that a few active infections of the ransomware initially started from the legitimate MEDoc updater process. As we highlighted previously, software supply chain attacks are a recent dangerous trend with attackers, and it requires advanced defense. The same update vector was also mentioned by the Ukraine Cyber Police in a public list of indicators of compromise (IOCs) , which includes the MEDoc updater. In the next sections, we discuss the details of each technique. 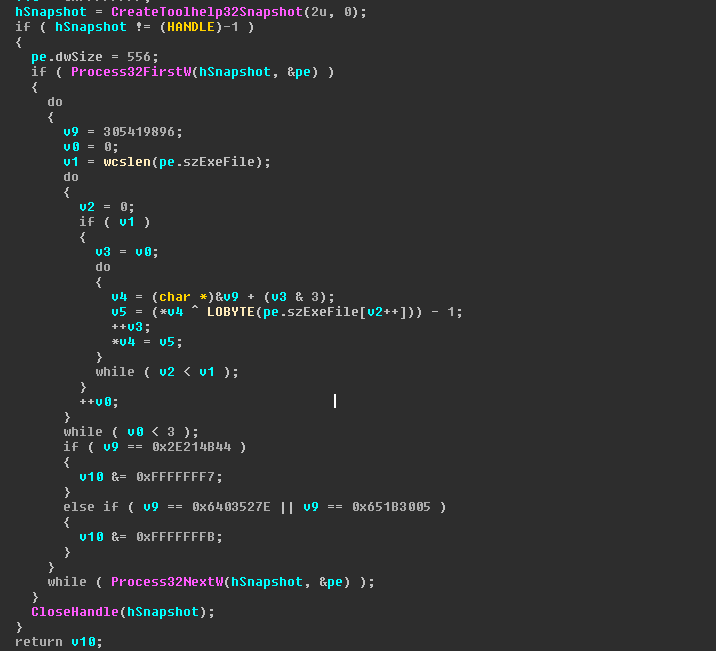 This ransomware drops a credential dumping tool (typically as a .tmp file in the %Temp% folder) that shares code similarities with Mimikatz and comes in 32-bit and 64-bit variants. Because users frequently log in using accounts with local admin privileges and have active sessions opens across multiple machines, stolen credentials are likely to provide the same level of access the user has on other machines. In addition to credential dumping, the malware also tries to steal credentials by using the CredEnumerateW function to get all the other user credentials potentially stored on the credential store. If a credential name starts with “TERMSRV/” and the type is set as 1 (generic) it uses that credential to propagate through the network. 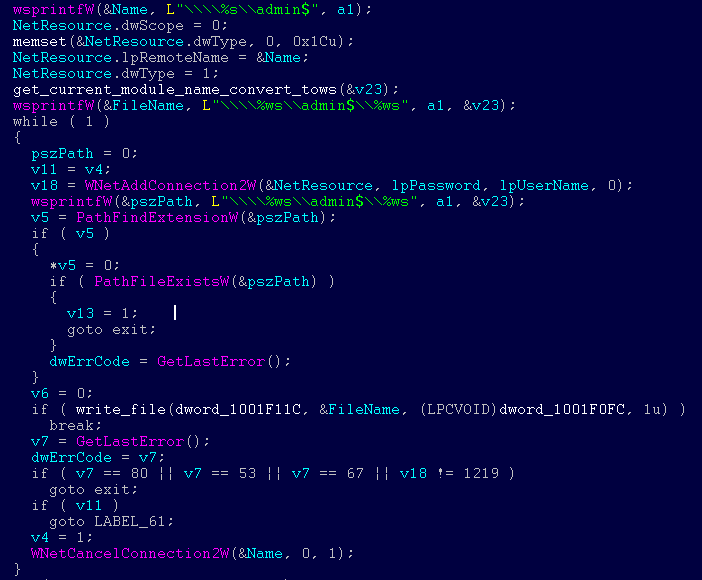 The new ransomware can also spread using an exploit for the Server Message Block (SMB) vulnerability CVE-2017-0144 (also known as EternalBlue), which was fixed in security update MS17-010 and was also exploited by WannaCrypt to spread to out-of-date machines. In addition, this ransomware also uses a second exploit for CVE-2017-0145 (also known as EternalRomance, and fixed by the same bulletin). These two exploits were leaked by a group called Shadow Brokers. 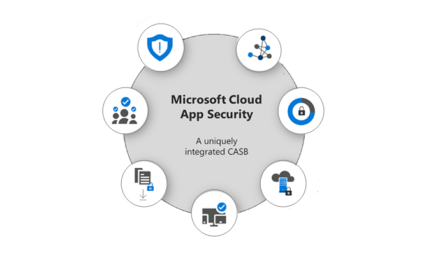 However, it is important to note that both of these vulnerabilities have been fixed by Microsoft in security update MS17-010 on March 14, 2017. 0x6403527E or 0x651B3005 – if these hashes of process names are found running on the machine, then the ransomware does not do SMB exploitation. Only if the malware is running with highest privilege (i.e., with SeDebugPrivilege enabled), it tries to overwrite the MBR code. 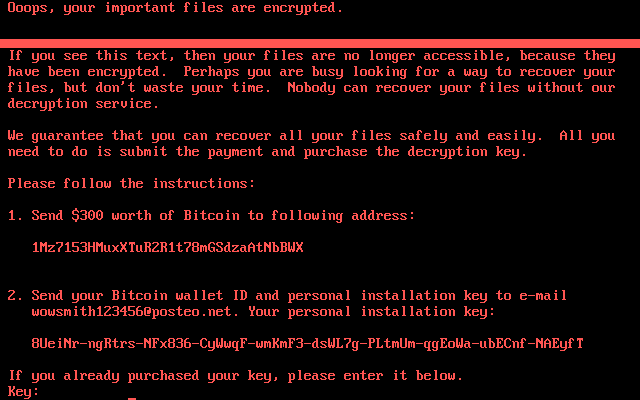 Unlike most other ransomware, this threat does not append a new file name extension to encrypted files. Instead, it overwrites the said files. 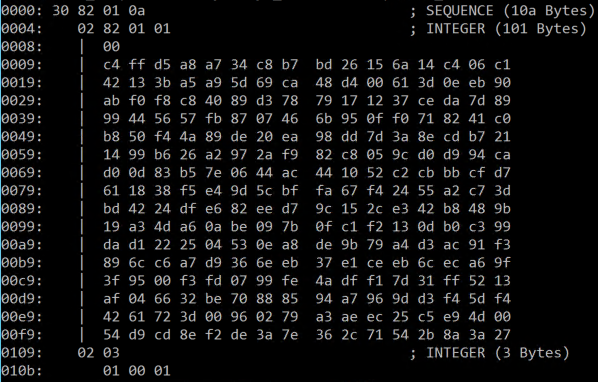 The AES key generated for encryption is per machine, per fixed drive, and gets exported and encrypted using the embedded 2048-bit RSA public key of the attacker. The unique key used for files encryption (AES) is added, in encrypted form, to the README.TXT file the threat writes under section “Your personal installation key:”. 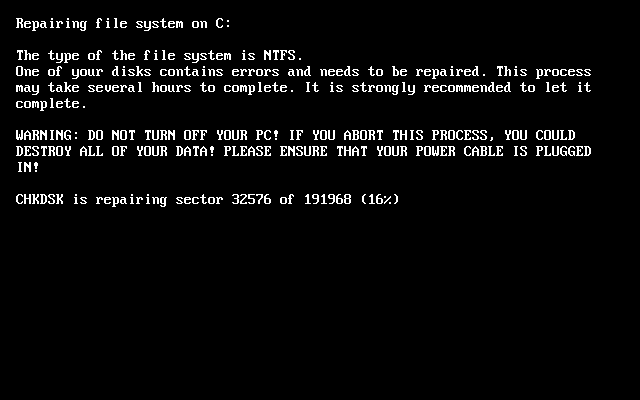 This ransomware also clears the System, Setup, Security, Application event logs and deletes NTFS journal info. Windows Defender Advanced Threat Protection (Windows Defender ATP) is a post-breach solution and offers by-design detections for this attack without need of any signature updates. 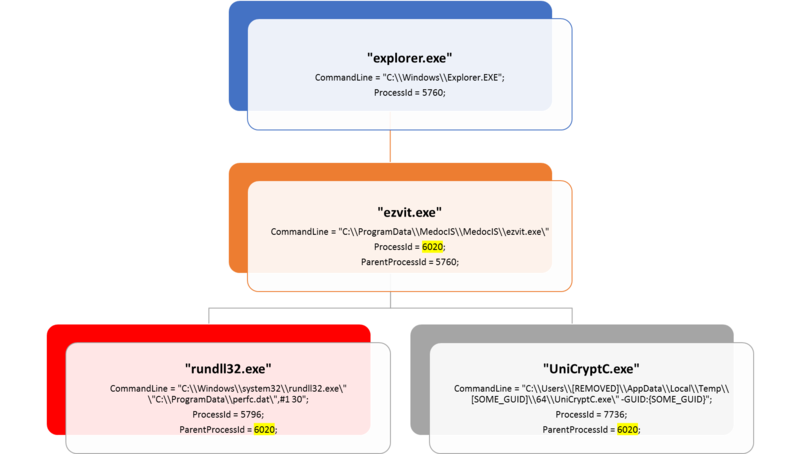 Windows Defender ATP sensors constantly monitor and collect telemetry from the endpoints and offers machine-learning detections for common lateral movement techniques and tools used by this ransomware, including, for example, the execution of PsExec.exe with different filename, and the creation of the perfc.dat file in remote shares (UNC) paths. 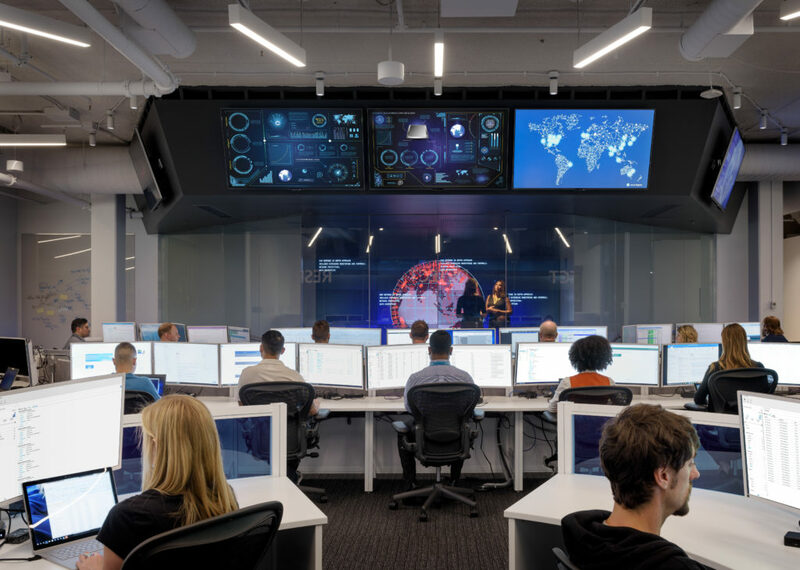 With Windows Defender ATP, enterprise customers are well-equipped to quickly identify Petya outbreaks, investigate the scope of the attack, and respond early to malware delivery campaigns. Keeping your Windows 10 up-to-date gives you the benefits of the latest features and proactive mitigations built into the latest versions of Windows. In Creators Update, we further hardened Windows 10 against ransomware attacks by introducing new next-gen technologies and enhancing existing ones. As another layer of protection, Windows 10 S only allows apps that come from the Windows Store to run. Windows 10 S users are further protected from this threat. As the threat targets ports 139 and 445, you customers can block any traffic on those ports to prevent propagation either into or out of machines in the network. You can also disable remote WMI and file sharing. These may have large impacts on the capability of your network, but may be suggested for a very short time period while you assess the impact and apply definition updates. Aside from exploiting vulnerabilities, this threat can also spread across networks by stealing credentials, which it then uses to attempt to copy and execute a copy on remote machines. You can prevent credential theft by ensuring credential hygiene across the organization. Secure privileged access to prevent the spread of threats like Petya and to protect your organization’s assets. Use Credential Guard to protect domain credentials stored in the Windows Credential Store. Windows Defender Antivirus detects this threat as Ransom:Win32/Petya as of the 1.247.197.0 update. Windows Defender Antivirus uses cloud-based protection, helping to protect you from the latest threats. 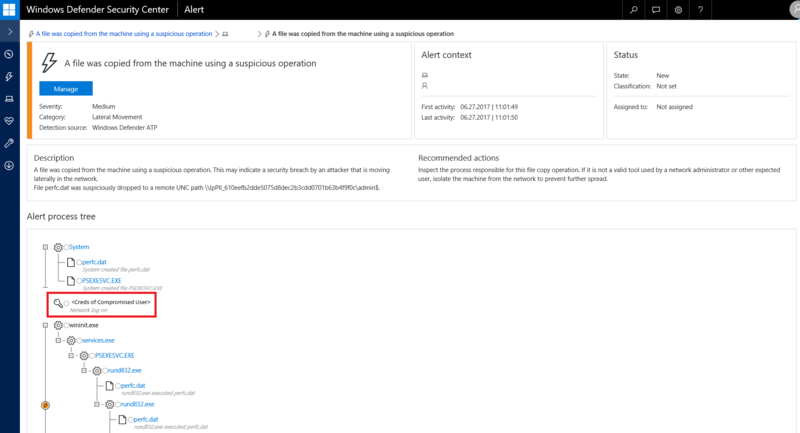 Monitor networks with Windows Defender Advanced Threat Protection, which alerts security operations teams about suspicious activities. 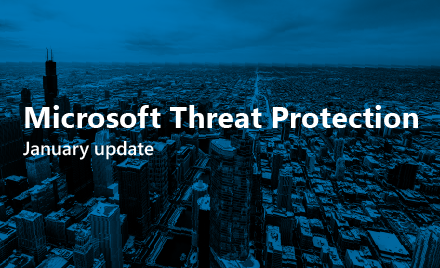 Download this playbook to see how you can leverage Windows Defender ATP to detect, investigate, and mitigate ransomware in networks: Windows Defender Advanced Threat Protection – Ransomware response playbook. This may be surfaced by searching for EventId 106 (General Task Registration) which captures tasks registered with the Task Scheduler service.